With cheaper entry level smartphones becoming available, more and more people across the country have switched over from their old, faithful feature phones to these smarter gadgets. This has led to a huge increase in data consumption by mobile users over the last year. MBit Index study, an annual report on mobile broadband performance in India by Nokia Networks, shows that mobile data traffic generated by 2G and 3G services has risen by a whopping 74 percent during the course of the last year. The report also highlights the fact that 3G consumption had grown much faster than the data consumed over 2G networks. The study is based on data collected from Nokia Network’s reach in Indian telecom network – about 30 per cent in terms of network and 70 per cent as device management business. “There has been huge growth momentum of data usage in India on wireless networks driven by 3G traffic. The data usage grew by 74 per cent and 3G usage was up by 114 per cent at end of 2014, compared to 2013. The 2G mobile Internet usage grew by 41 per cent in 2014,” said Nokia Networks Vice President and Head of India Region Sandeep Girotra. The amount of mobile data consumed grew from 49 petabyte (PB) at the end of 2013 to 85 PB by end of 2014, out of which 52 percent came from 3G usage. The average data consumption by a 3G subscriber has increased three times that of the data consumed by a 2G consumer over the period covered by the report. “3G is driving the data growth but 2G growth is stabilizing. Based on ecosystem, I feel 2G is going to be there in India. Now operators need to further strengthen their 3G network,” Girotra said. Average monthly data consumption by a 2G consumer was seen to be 216 MB during 2014, an increase of 48% during the last year. The average data consumed by a 3G consumer, on the other hand, 688 MB which is an increase of 29% during the year just ended. That means that an average 3G subscriber consumes, on an average, more than three times the data as compared to his 2G counterpart. 3G data consumption was seen to be accounting for more than half the data consumed in December 2014, an increase over the 42% share of it in January 2014. The 3G data consumption has consistently been greater than that of 2G data since September 2014, revealed the report. The main factors affecting the growth in data usage, according to Girotra, are the kind of devices available in the market, together with increased data coverage. Girotra elaborated that 258 million mobile phones were shipped to India during 2014, out of which 70 percent were feature phones, 7 percent were 2G smartphones while 22 percent were 3G enabled smartphones. The use of 3G devices capable of supporting a surfing speed of up to 21.1 Mbps increased from 23% in 2013 to 54% in 2014. It would not be wrong to add that cheaper access to internet over smartphones has also had a major role to play in that. The mad race to lower prices for surfing the internet over the mobile devices among lading telcos in a bid to lure more and more customers into their fold is reflected in these increased data usage figures. 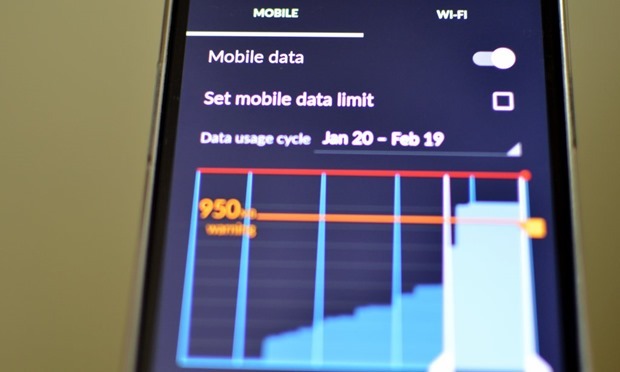 The findings of the report help underline the fact that while the data usage growth is being driven by 3G data consumption, the 2G data growth has been seen to stabilize over a period of time. While telecom operators would do focus on expanding and consolidating their 3G network, they cannot afford to ignore 2G coverage completely. Furthermore, with gadget freaks in the country already have purchased 5.5 million devices capable of supporting 4G networks, that could be a huge opportunity window for the telcos in the time to come. More so because only 85,000 of these 5.5 million owners are actually using the 4G network on their devices. "3G Mobile Data Usage Thrice As Much As 2G Data: Nokia", 5 out of 5 based on 1 ratings.